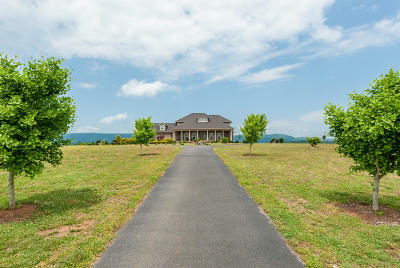 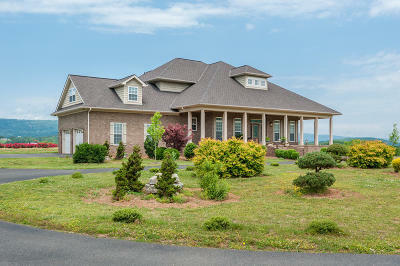 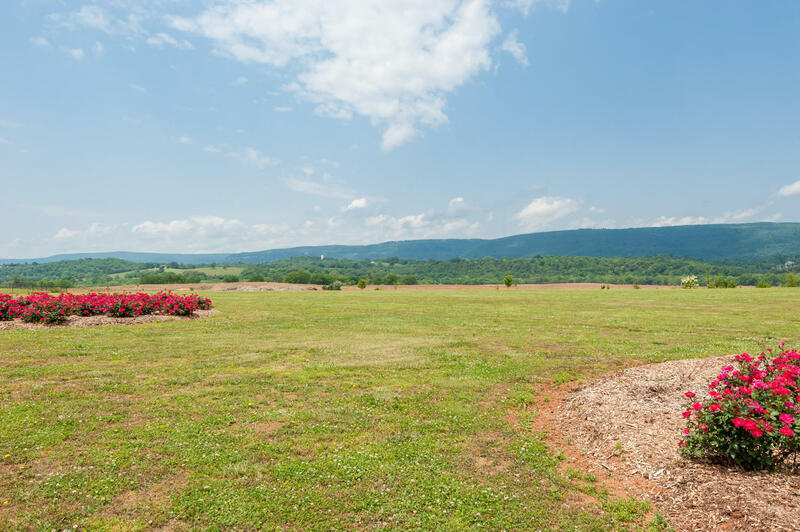 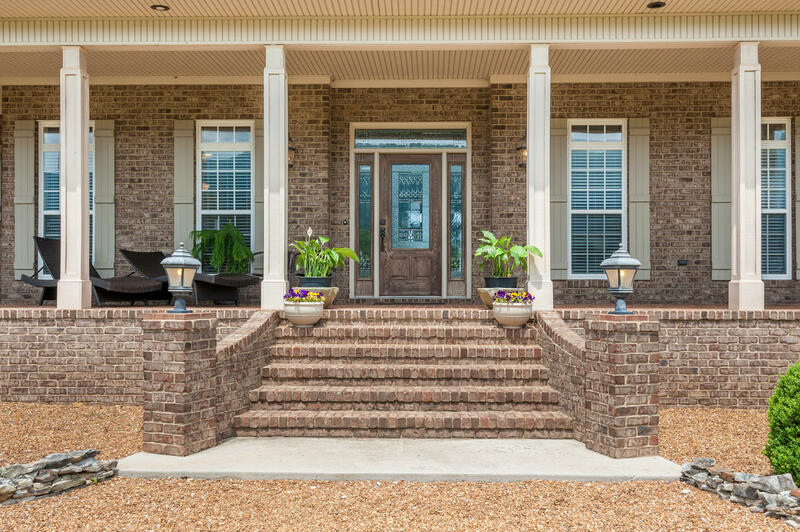 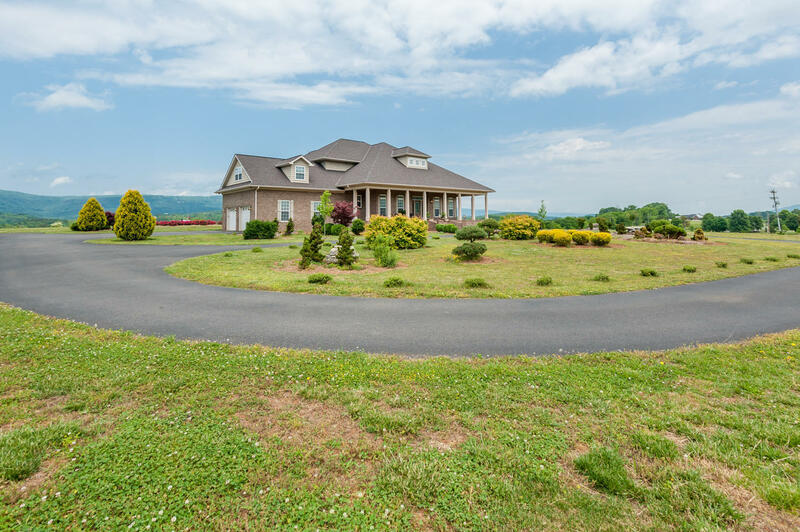 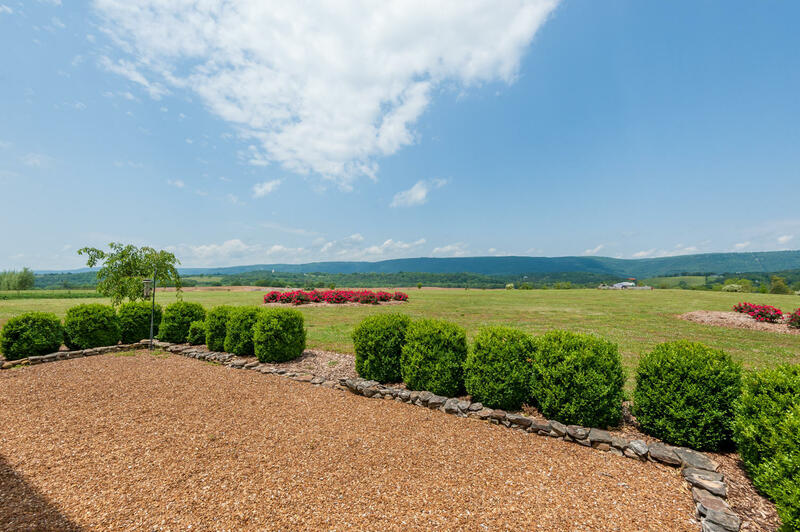 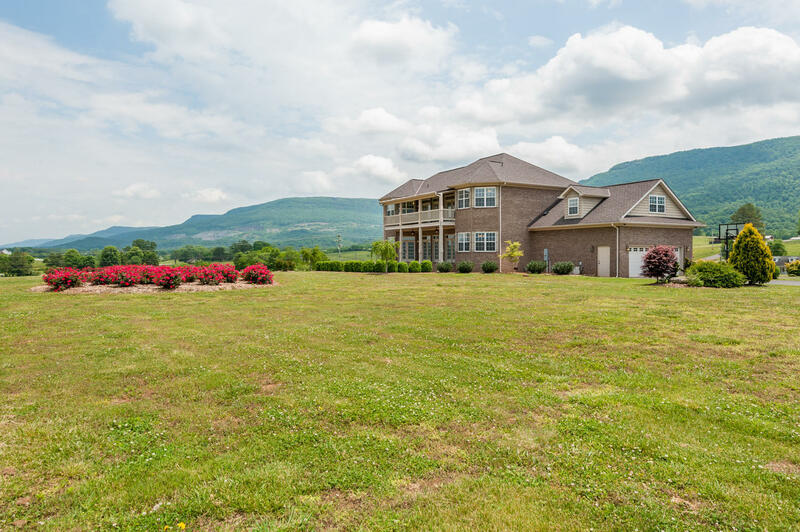 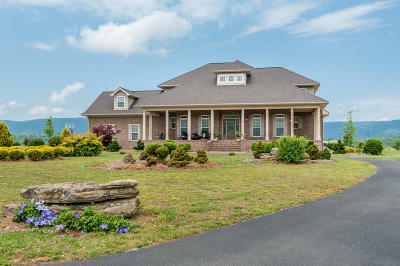 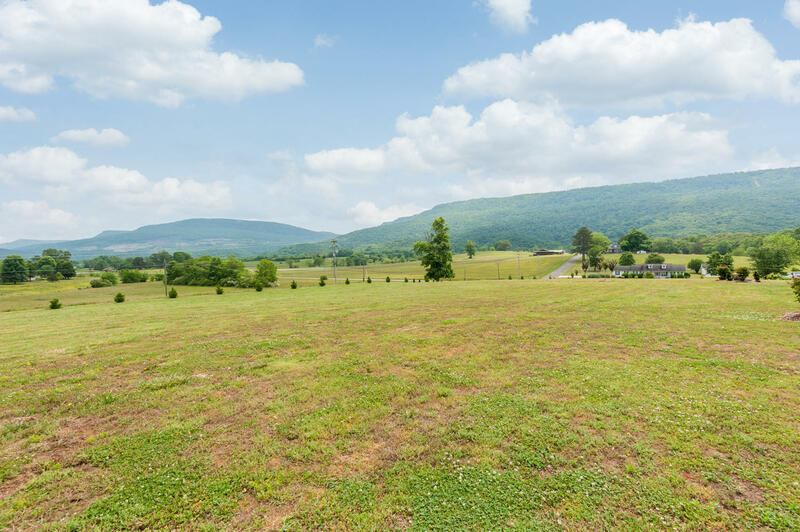 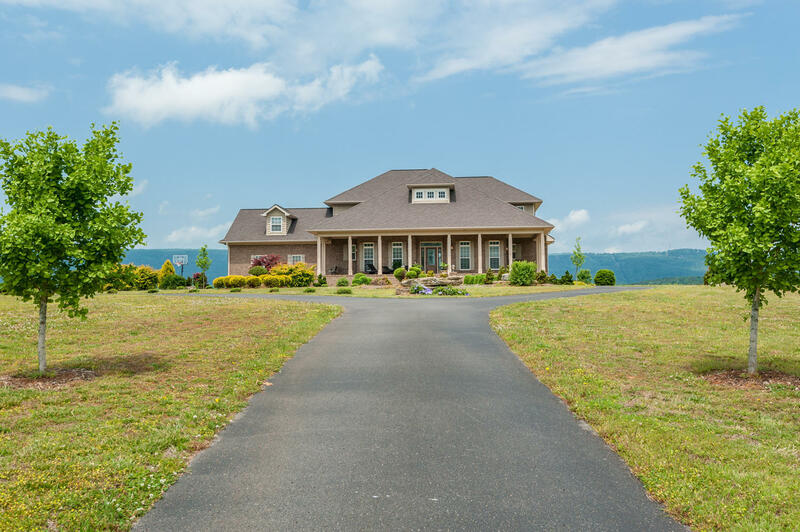 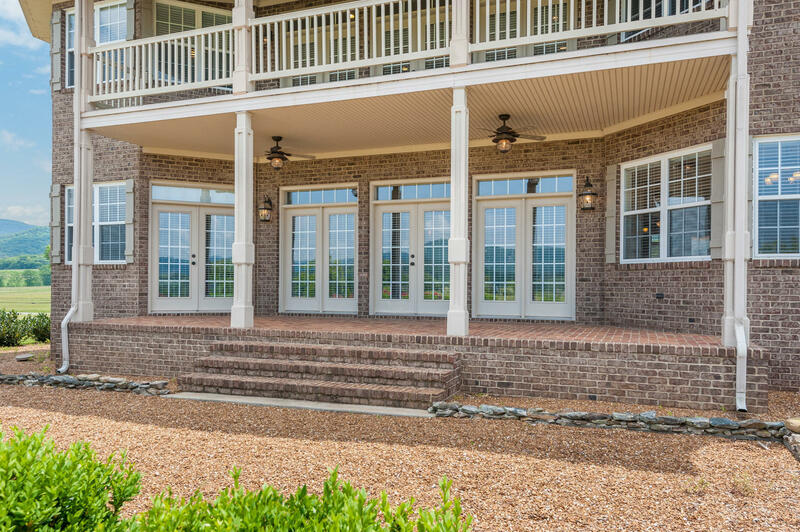 Remarkable Property, Custom Built all brick two story on 11.03 acres with 360 degree views of mountains. Close to Soddy Daisy, Dayton, Hixson and Chattanooga. 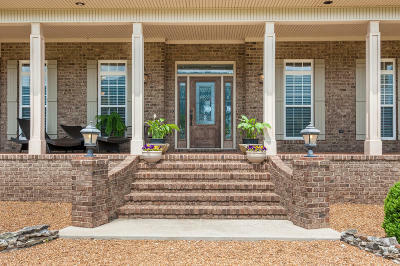 Top quality construction with high grade materials. 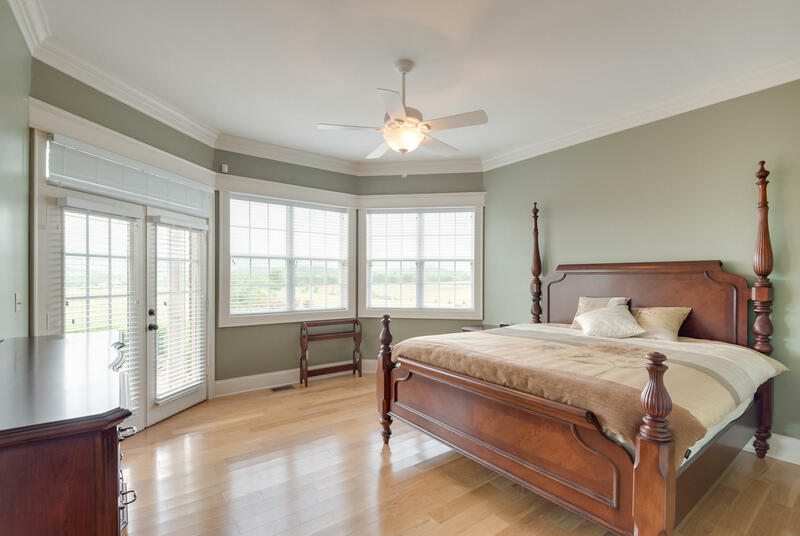 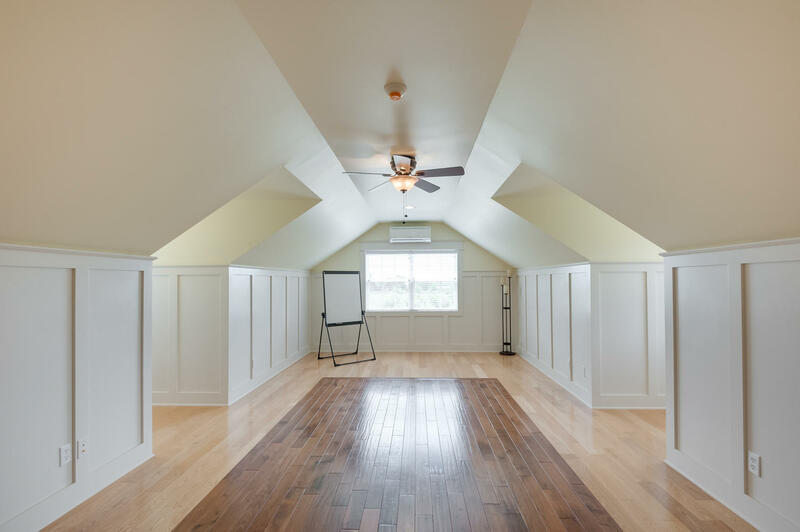 The entire house has beautiful ash wood floors even bedrooms and second level. 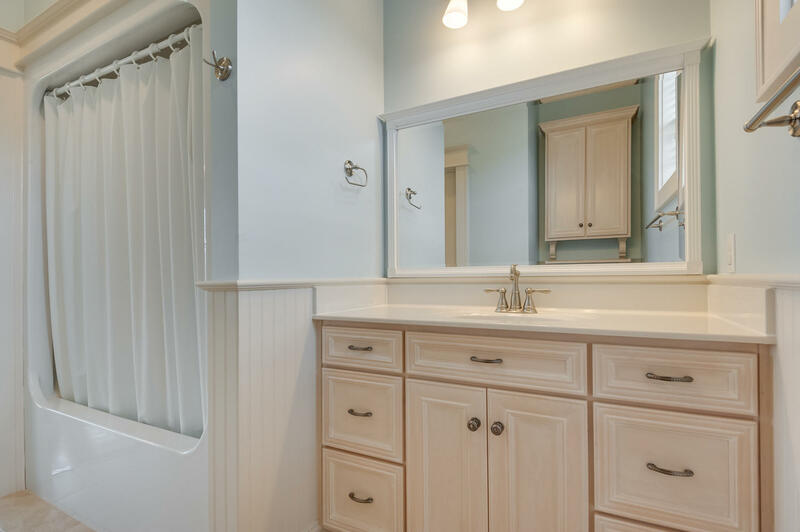 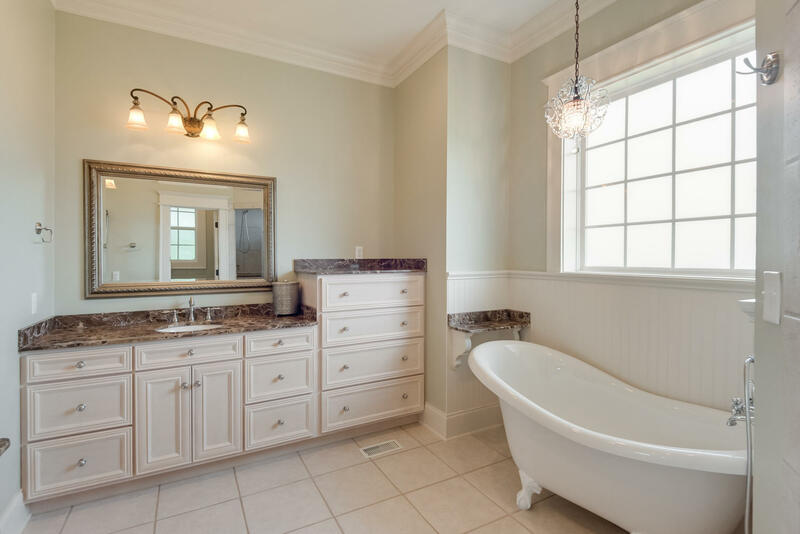 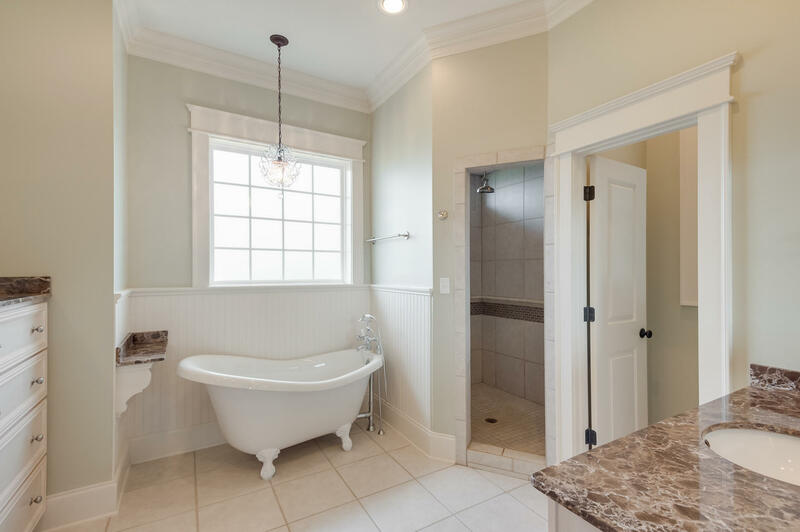 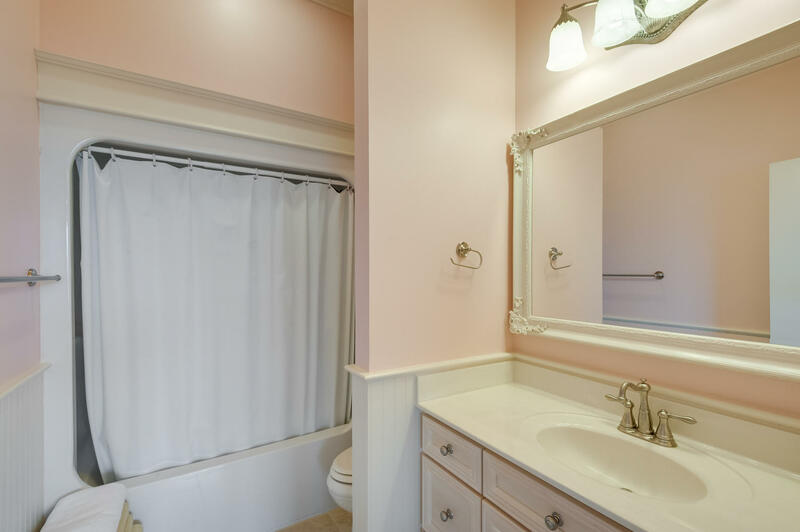 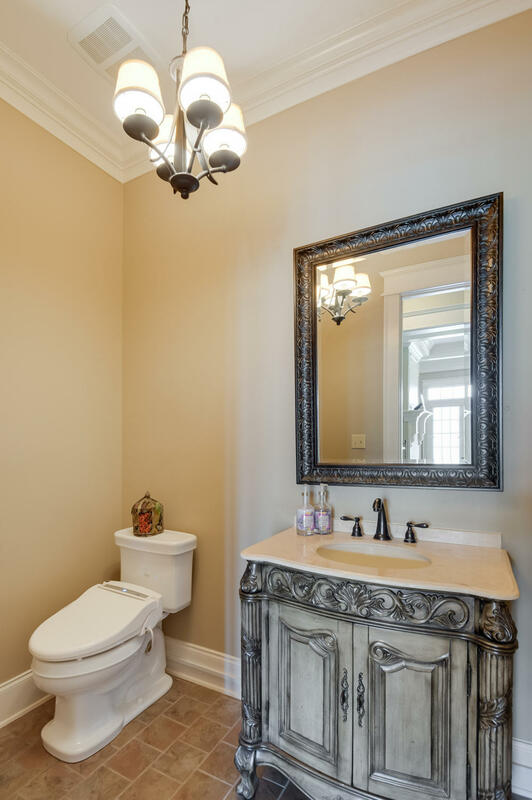 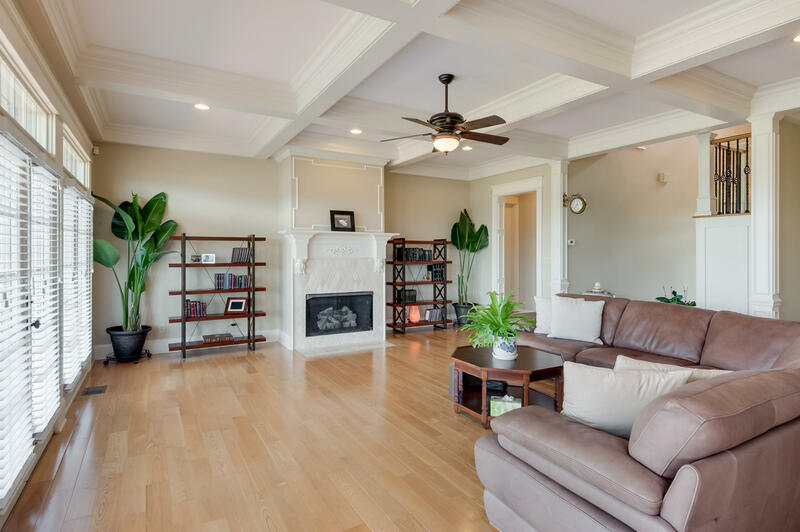 Master retreat on main level takes up one side of the house and has large walk in closet adjoining bath with separate marble covered custom vanities, wonderful claw foot tub and separate walk in tiled shower with dual shower heads and bench. 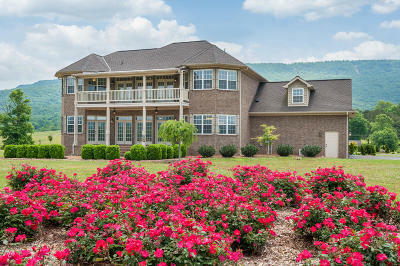 As you walk through the front door you will find an office/living room with double french doors to the right and an ample sized formal dining room to the left and the impressive decorative wood and large wrought iron staircase in front as you pass the staircase you enter into the large great room with great trim work and coffered ceilings, gas log fireplace, and back wall of windows and french doors lead to covered back porch which overlooks the back part of the acreage and mountain views . 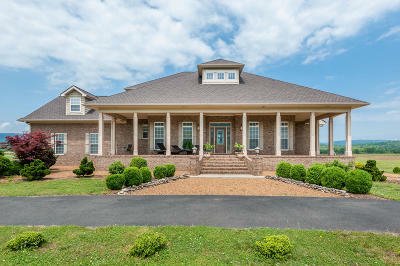 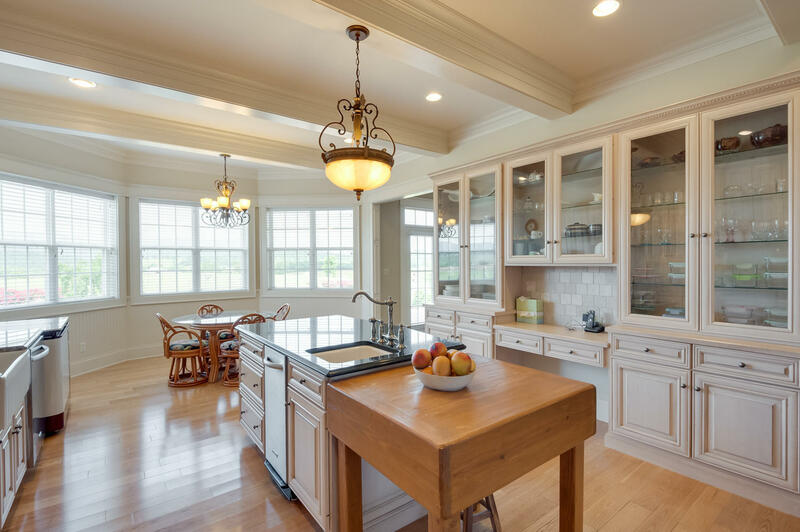 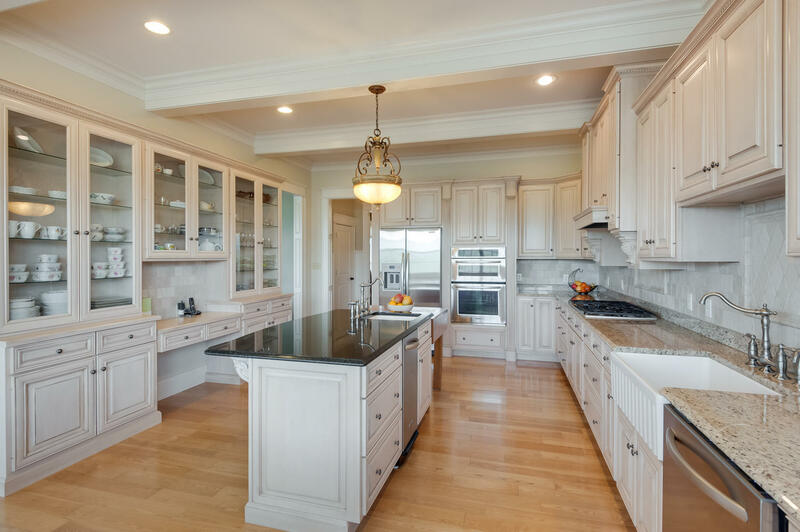 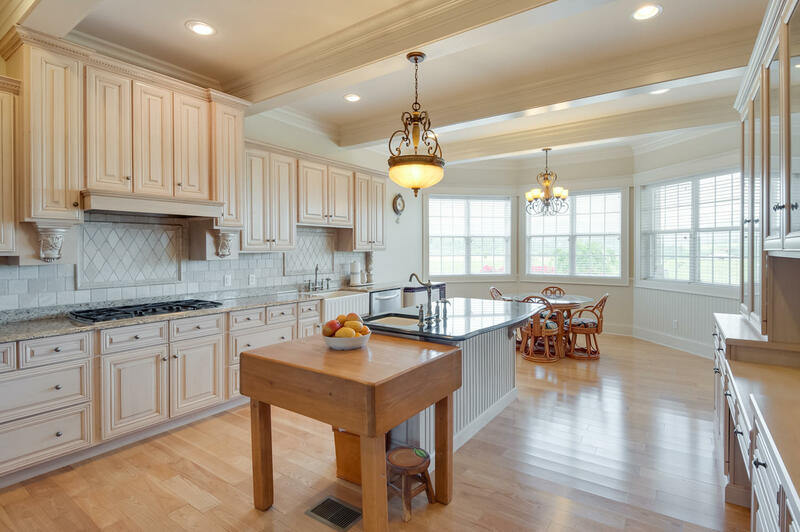 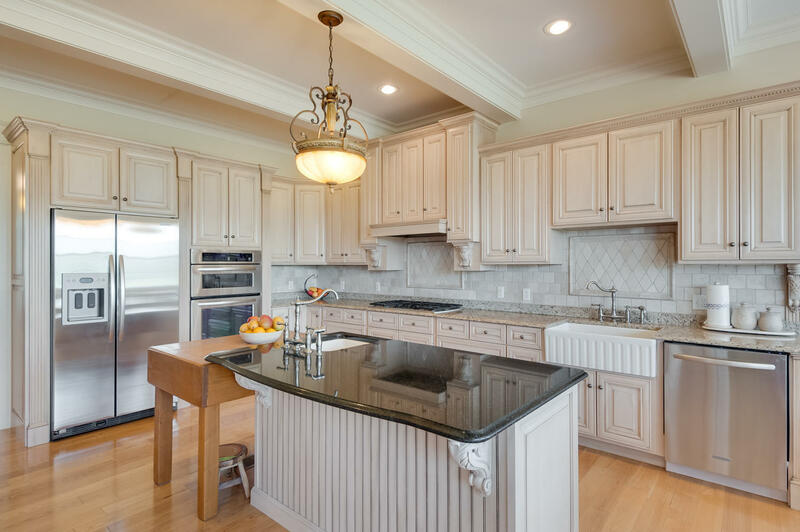 Off the great room is a cooks dream kitchen with granite counters and tons of custom cabinets, island with second sink and trash compactor, main sink is farm style and both with disposals, gas cook top, built in ovens and microwave. 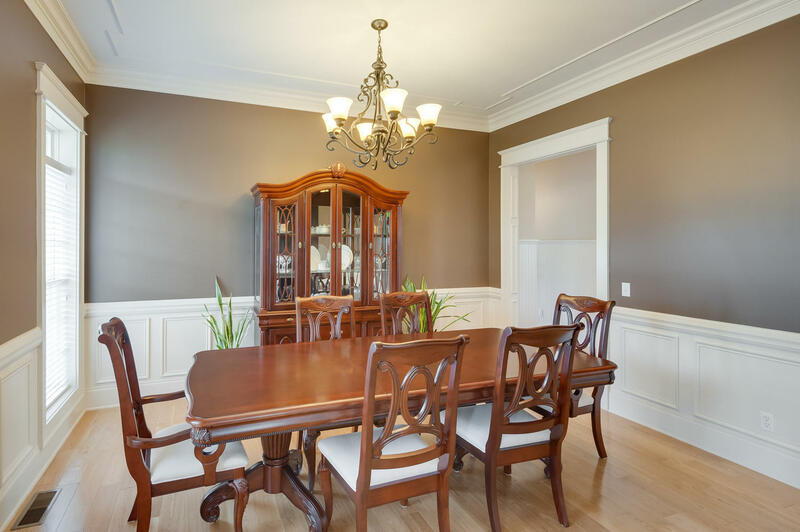 Bayed breakfast room with beautiful mountain views. 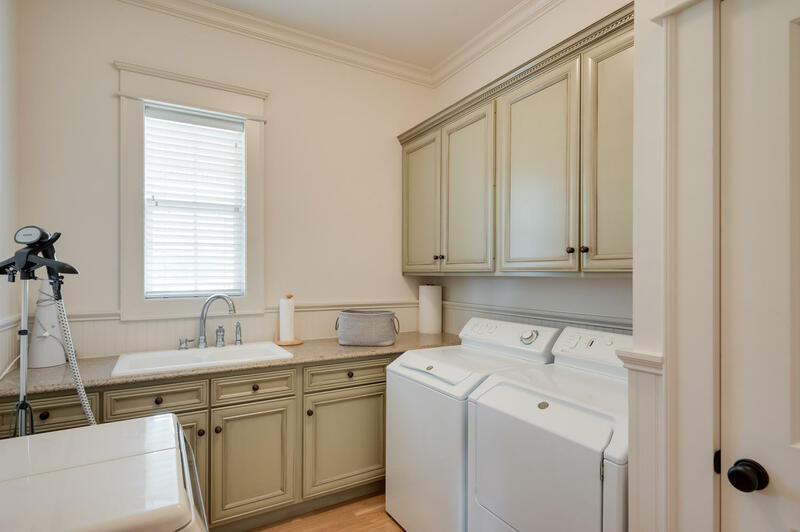 Rounding out the main level is a huge laundry room with double sink, granite counters and lots of cabinetry. Upper level you will find the second family room with gas log fireplace and french doors to upper covered deck with an even better views. 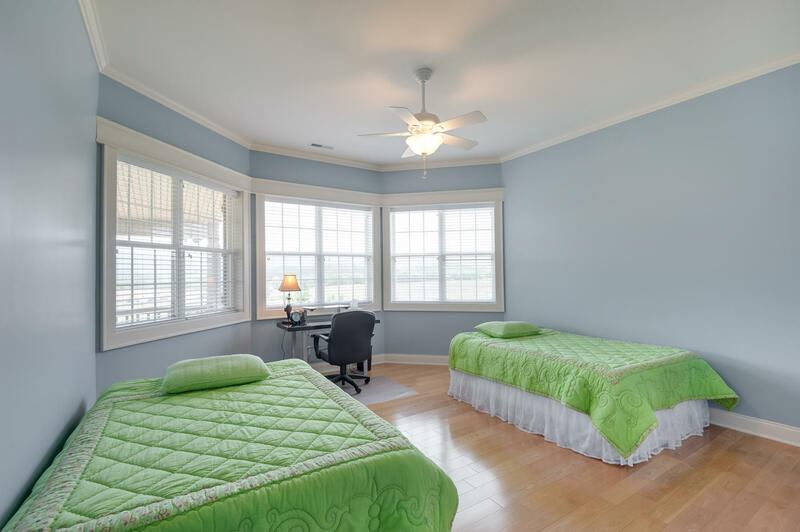 Two large bedrooms with bayed window and walk in closets plus own private bathrooms. 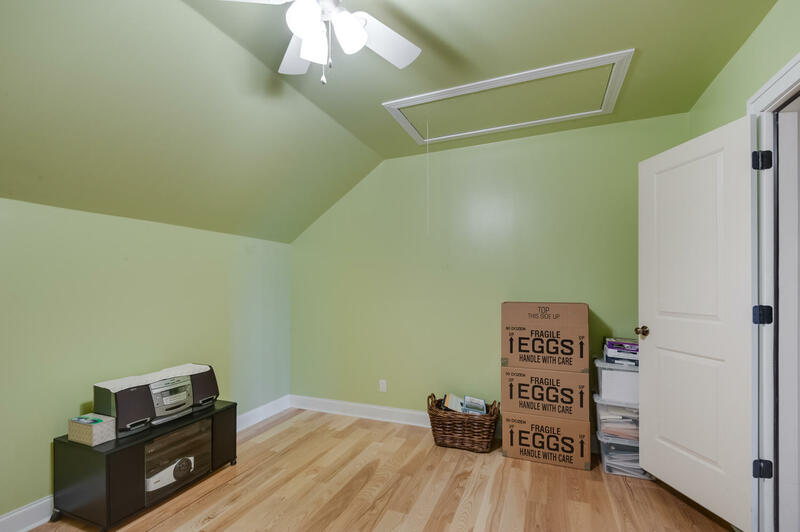 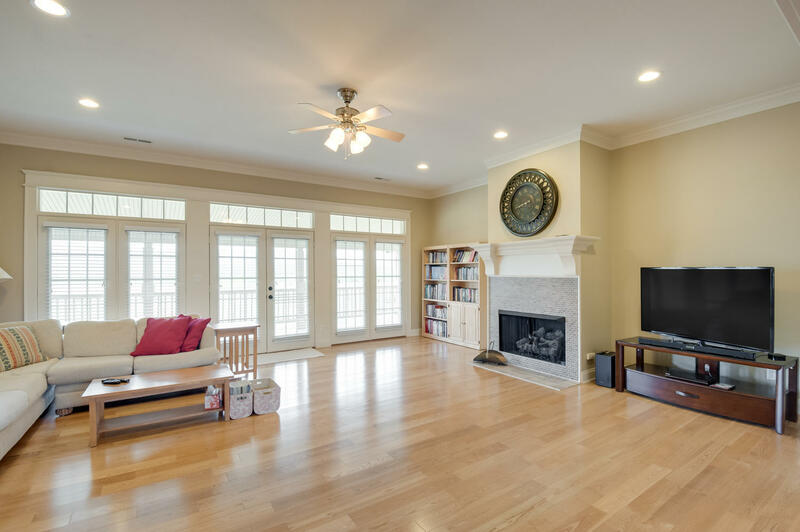 2 specialty/craft rooms and a large bonus room/4th bedroom with large closet, beautiful hardwood floors and separate htg/air system on upper level. 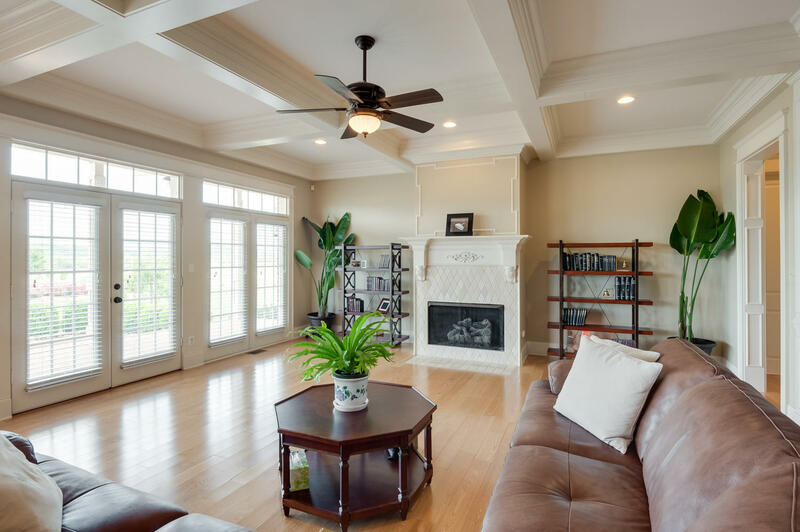 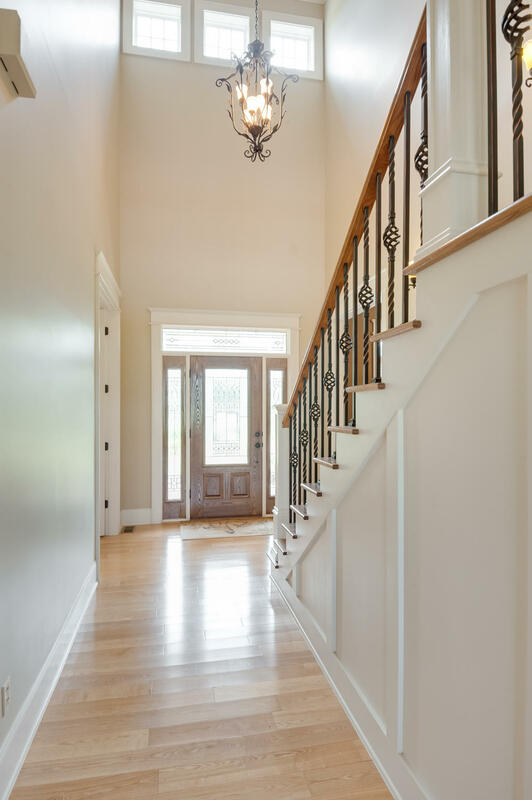 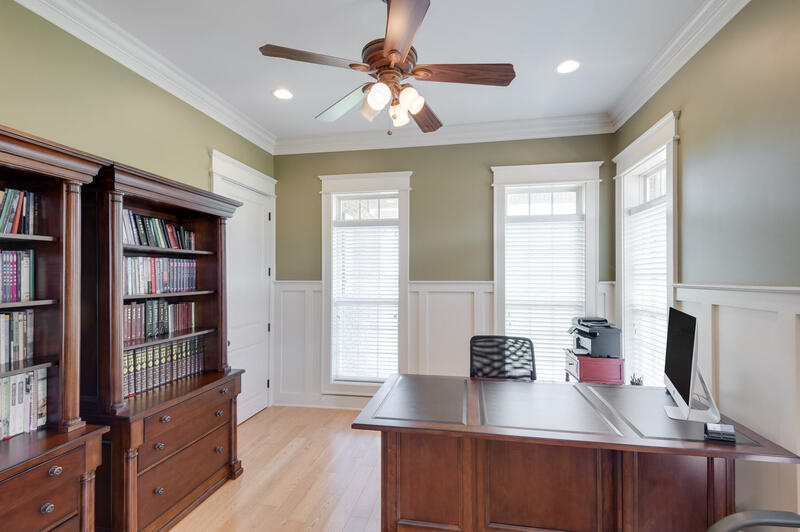 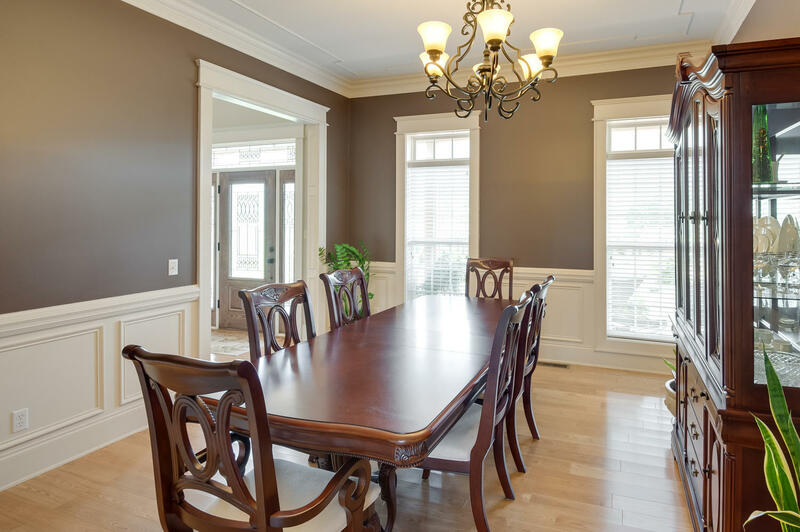 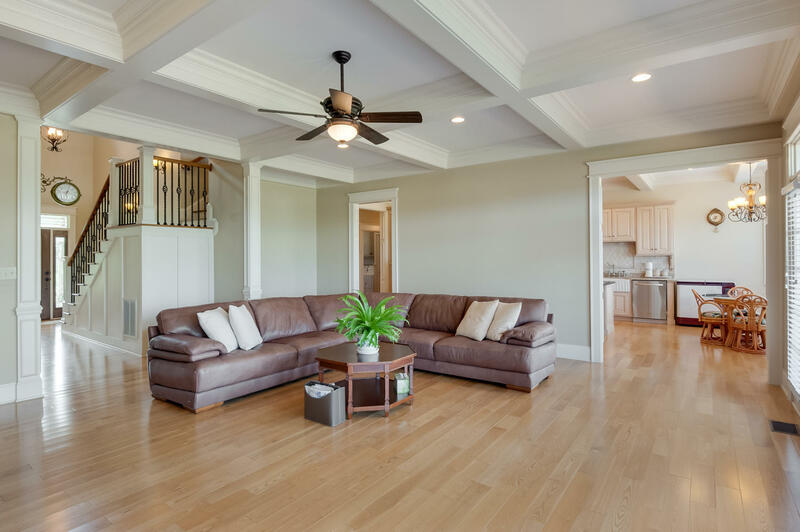 main level with 10 ft ceilings and 8 ft all solid doors, 3 heat and air systems, extensive heavy crown molding and trim work throughout. 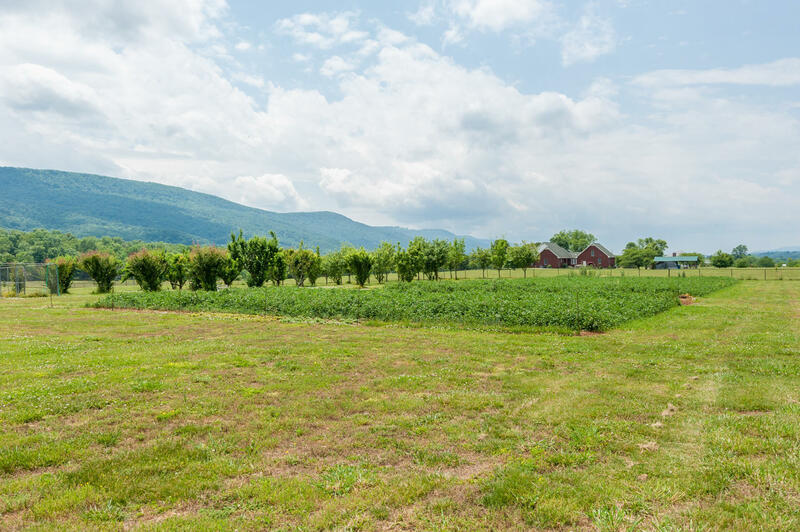 Pad and foundation for workshop/barn with underground electricity and separate septic system for bath on back part of acreage. Well line to flower bed and great garden and fruit trees. 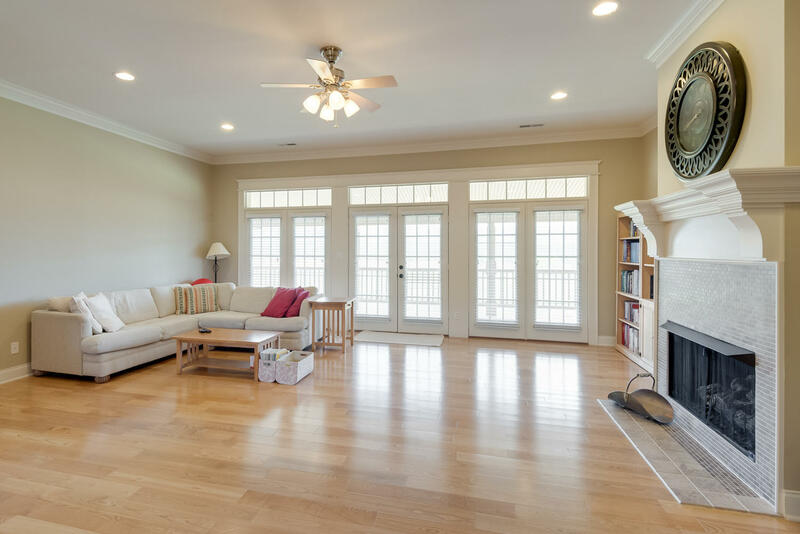 A must see to appreciate the quality of the beautiful house.